Ponteland batted first and put on a decent score of 232-6 at the end of their 50 overs with Amritveer Punia top scoring with 67. There were also useful knocks of 43 from Thomas Reeman, 39 from opener John Lumb and 24 from Joe Boaden. In their innings, Blyth opener Richard Glass hit 65, there was also 32 from Andrew Ebdale and 30 from David Ebdale, but with Boaden taking 5-54 and David Waters 4-51, they came up short at 187 all out in the last over. Bedlington 1sts won by seven wickets when they took on Cowgate 1sts away. The home side batted first and Jaswinder Singh hit 92 as Cowgate posted 192-8 in their 50 overs. Chris Younger took 3-39. Majid Ansari then hit an unbeaten 80 and Connor Leason 66 not out as Bedlington replied with 193-3 in 35 overs. Ashington Rugby CC hosted Whickham hoping to follow up last week’s victory, but in the end they went down to a 43 run loss. The visitors batted first, progressing steadily to 80 at the half way point. ARCC turned to spin which paid dividends for young Scott Maddison and Mark Lawrence, Maddison taking four wickets and Lawrence three. Chasing 180, with Mick Armstrong having led the batting with 59, the Rugger lads reached 90 for the loss of only one wicket. A major collapse then followed and they were all skittled out for 137 with Cal Milburn the only one to fight it out with a spirited 74. Matthew Rodger took 5-22 for the home side. 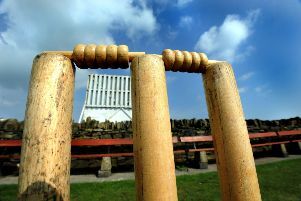 Ashington 2nds travelled to take on Stobswood 1sts and they returned with a six wicket win. David Colam hit 70 as Stobswood put on 155-6 in 50 overs, Matthew Potts and Doug Potts claiming two wickets apiece. Opener Scott Dunn then hit 93 as Ashington took 26 overs to chase it down (157) for the loss of four wickets. 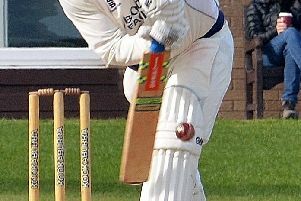 Ashington Rugby 2nds lost out by 61 runs in their away match against Kirkley 1sts. Chris Farrelly was 99 not out as Kirkley put on 242-8 and Ashington were 181 all out in reply, openers Stuart Rosser (51) and Dean Hardy (41) scoring the bulk of the runs. Andrew Horner claimed 5-23. Blyth 2nds went down by 54 runs in their home game against Civil Service 2nds. Opener Aman Sheik top scored with 57 and there was a knock of 45 from Andrew Waite as Civil Service put on 203-8 in their 40 overs, Adam Helsby and Darren Carr each taking two wickets. Adam Young hit 67 in reply for Blyth but with wickets falling around him the team was all out for 149 in the 35th over with three bowlers taking two wickets each.